Experience has shown that water treated by the Hydrozonix process can be pumped at lower pressures than untreated fluids. This is due to the way mass transfer is used to control residual oxidation in combination with the use of ozone, which has a relatively short half-life. Other oxidants provide longer half-lives combined with less mass transfer, which leads to residual oxidation that consumes friction reducers. While other oxidants create a compatibility concern, the Hydrozonix process, through micro-bubbles, improves compatibility with friction reducers. 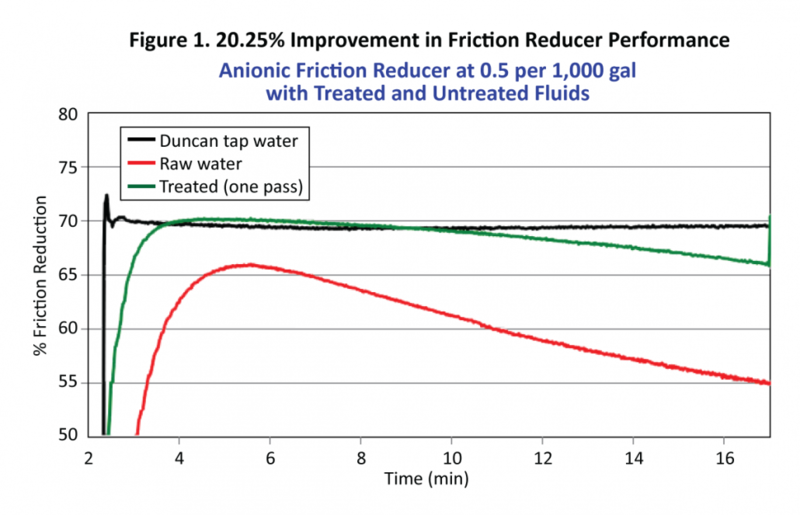 We don’t just eliminate the compatibility concern, we also reduce the friction factor of the water. As a result, operators have been able to lower friction reducers by more than 20% in their frac fluid formulations (see Figure 1). Water treated by the Hydrozonix process can be pumped at lower pressures than water treated by other methods. As a result, operators have been able to reduce friction reducers in their frac fluid formulations. 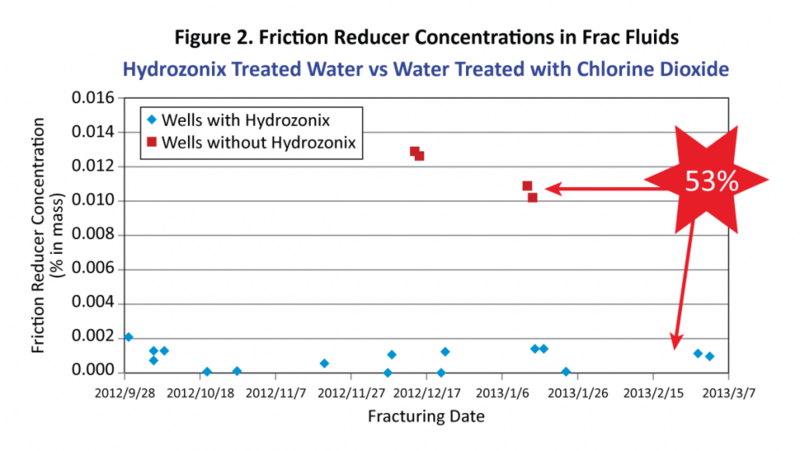 Figure 2 compares friction reducer concentrations in frac fluids with Hydrozonix treated water and with water treated with chlorine dioxide. In this comparison, wells with chlorine dioxide treatment used 53% more friction reducer, while wells using Hydrozonix treatment used 50% more recycled water in their frac fluid formulations. This is a result of other technologies creating an incompatibility with friction reducers, while the EF80 provides additional friction reduction but does not introduce incompatibility.